I’ve become rather fond of a good slogan or logo on a t-shirt. It jazzes things up a bit, elevates the t-shirt from being a plain, utilitarian sort of thing to more of a considered outfit choice. Except that it isn’t, of course, because it takes just the same amount of effort to pull on a blue t-shirt with “WONDERWOMAN” written on it as it does to pull on a blue t-shirt with nothing written on it. One is just marginally more interesting to look at, depending on your tolerance for what can often seem like completely meaningless, inane words written in Instagram-friendly fonts. The downside of having anything written on your top half, I’ve found, is that anyone wanting to read what it says has to swivel their eyes across the bosom region and sometimes eyes can linger, which in itself presents all kinds of problems and potentially awkward moments. Sometimes people squint at your breast area for what can seem like an excruciatingly long time, especially if the font you’re wearing has been badly thought out. I stared at someone’s chest for at least ten seconds the other day trying to work out why she had Miracle Wanker written across it in a curly script; it was Miracle Worker, that much is obvious now, but still. I hope she didn’t think I was just ogling her! Anyway, here are some of my favourite logo/slogan tops-of-the-moment. 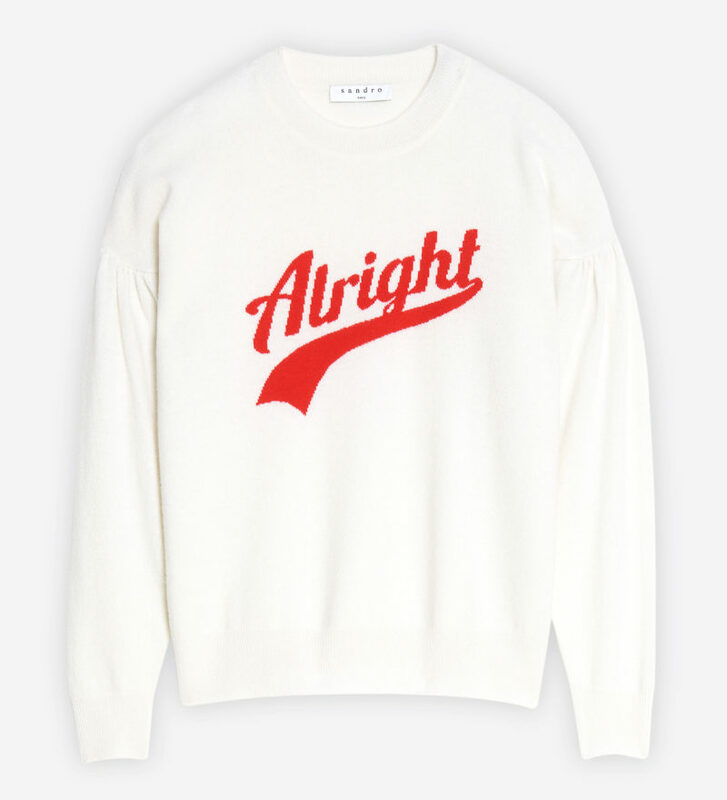 Pleasingly graphic with non-ambiguous fonts, there’s everything from the humble t-shirt to the most luxurious cashmere. The brilliantly cool and clever Selfish Mother brand has landed at John Lewis with a selection of bestselling hoodies and tops. 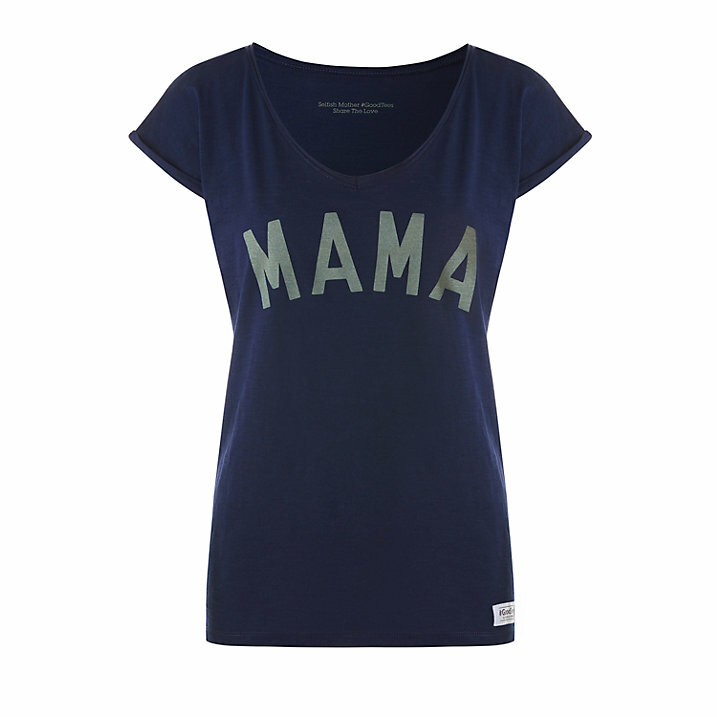 A £5 donation from each sale goes to the mothers2mothers charity – you can find out more here. The cotton is soft, the cut is flattering, there’s just enough length to cover the hips…what more can you ask of a t-shirt? I love the retro feel of this jumper – it would look great with denim shorts and box-fresh white trainers in the summer. Although the idea of wearing shorts actually makes me cringe so hard that my face turns inside out. The first of two brilliant Hush buys, this soft jumper is just so pastelly and pretty and perfect for spring. It’s in the basket. 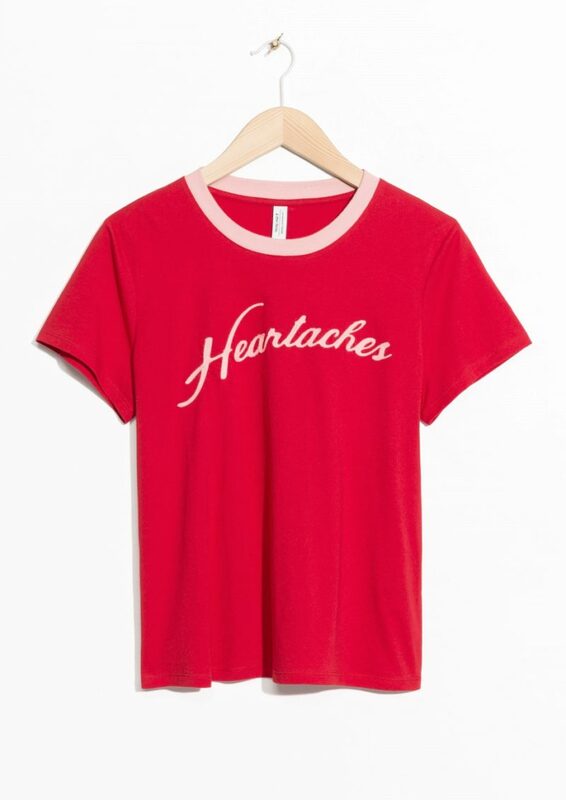 I also really like the Coca-Cola-esque font going on here on the front of this t-shirt. Yes, perhaps it’s a bit “love overload”, but it’s not like you’d be wearing both at once! Unless you layered them. Love layering. 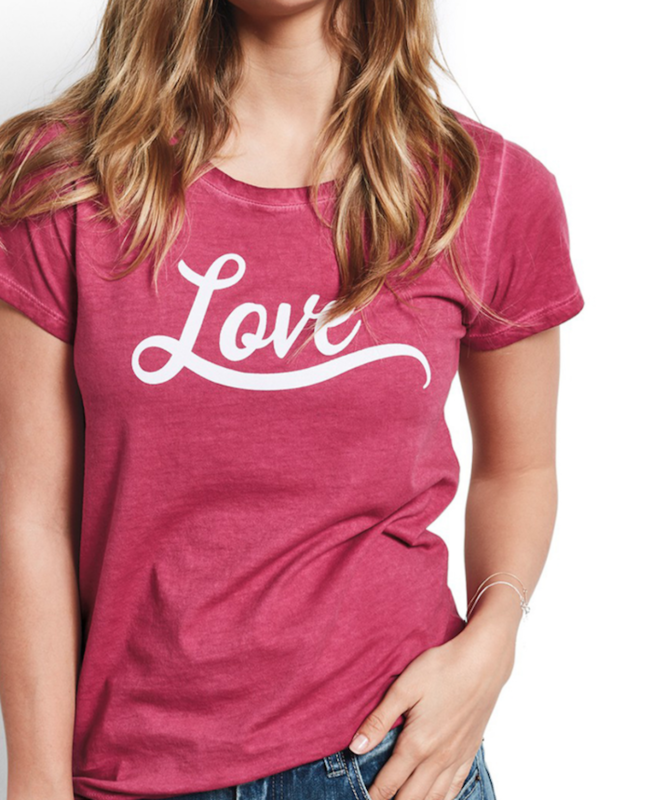 There’s a sweatshirt too, so you could have a triple love-threat! I have this. It’s very sweet. Again, I’ll wear it with denim shorts when the sun comes out and I live in a parallel universe where I have a time machine to bring back my pre-baby-growing legs, which were vein-free and didn’t look like frozen chicken drumsticks. Seriously, this is my favourite from the whole page and it’s only a tenner. 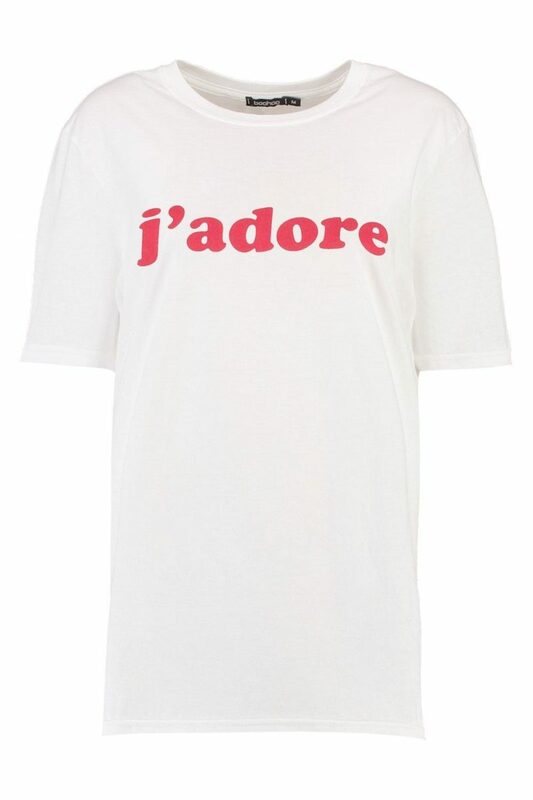 I have it, it’s soft and flattering (I think runs a little large if you like it fitted – I’m a small in this) and the j’adore is punchy and cool. Can’t do better than that, not for ten pounds! Next Post The Work-Life Balance: Does It Even Exist?